Take a journey into nature! 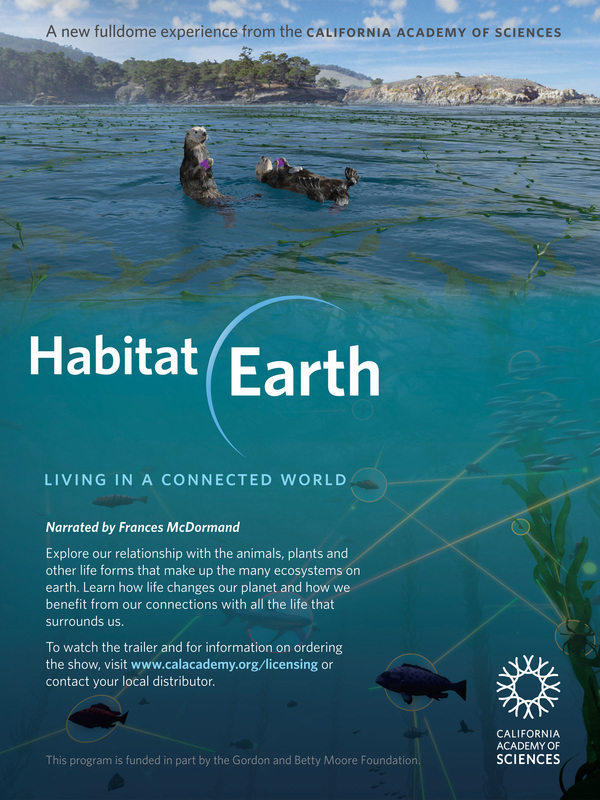 Bring "Habitat Earth" -- a fantastic, new, immersive, full-motion planetarium show from the California Academy of Sciences -- to your group.... Participants will dive beneath San Francisco Bay, travel through the roots of a tree, dip into an ant hill, swim with otters, and explore Earth from a perch in space! Experience the connected wonders of our planet! Groups are now invited to book a showing of this program for the first time in Nevada! We can provide the program at the National Automobile Museum with enrichment activities -- or bring the program to your location. Teacher Guides are available below for Grades 3 through 5 and 6 through 12.